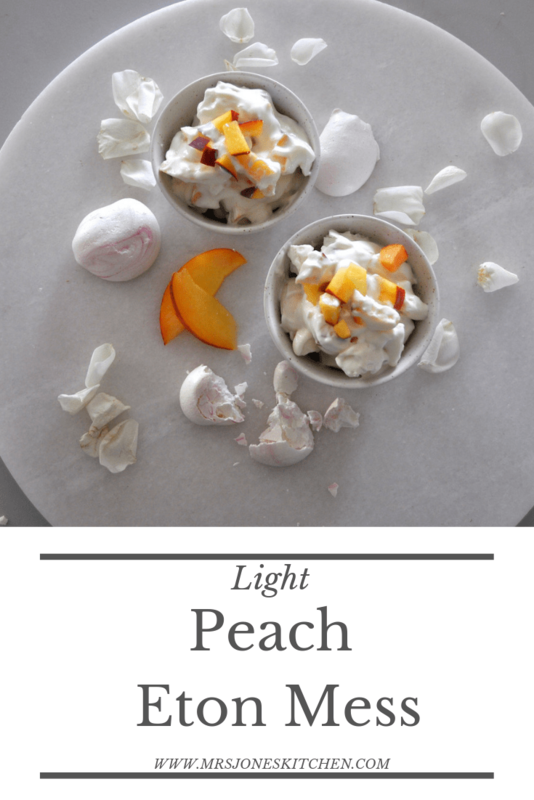 I made this Light Peach Eton Mess to use up some meringues I had left over from another dessert. 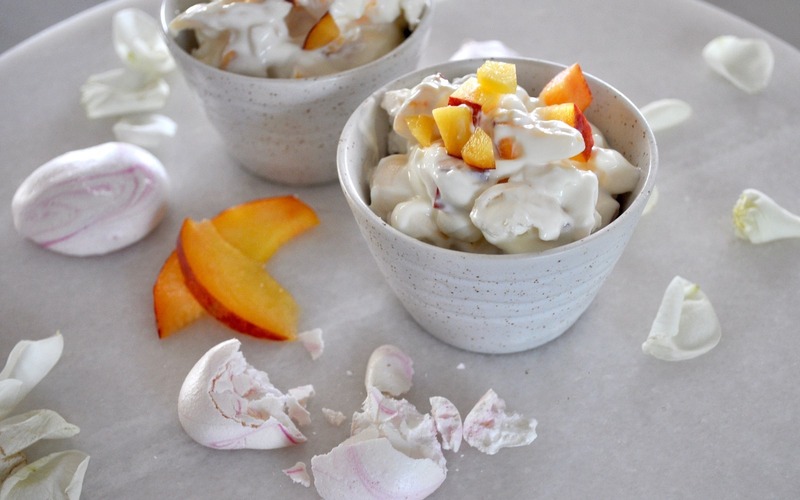 Traditional Eton mess is a luscious mixture of strawberries, meringues and whipped cream but I have to say, I’m not the greatest fan of cream, so have substituted plain greek yogurt instead, and used in-season fresh peaches in place of the strawberries. This recipe can easily be doubled or tripled, and I gave a spoonful to Mini Jones before adding the meringues, so he felt he was eating pudding too. Mix everything together, spoon into two glasses/small bowls, and eat straight away. Use whatever fruit is in season! It works with nectarines, strawberries, blueberries, or a mixture of fruit.